Every November 14, “the 75” are remembered. 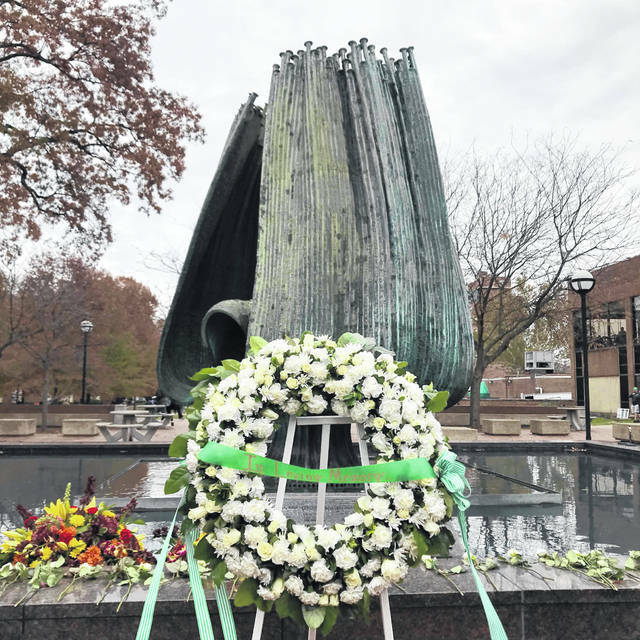 “The 75” being players, coaches, members of the flight crew and boosters of the Marshall University Thundering Herd football team who perished in a plane crash on November 14, 1970. 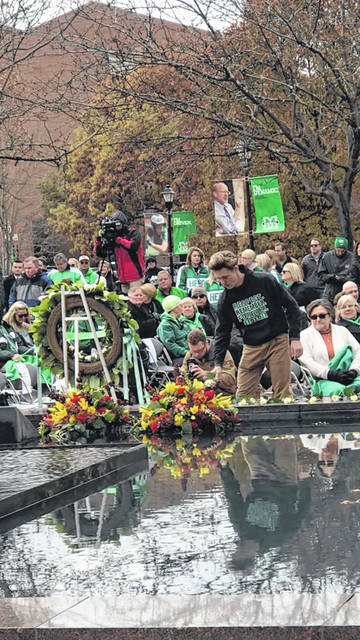 On Wednesday, the 48th annual Memorial Fountain Ceremony honoring those who lost their lives was once again held on the Memorial Student Center Plaza in Huntington. Pictured are scenes from the ceremony, including Thomas Slusher laying a white rose in remembrance at the fountain which is turned off during the service. Slusher is a great nephew to the late Barry Nash who played for The Herd, graduated from Point Pleasant High School in 1969 and perished in the crash.